Better late than never! On 14th July the Saga No Run contest took place in Saga, Japan. 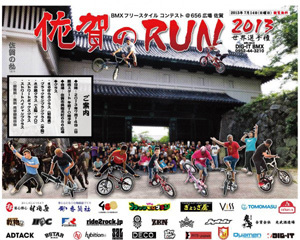 It was the biggest contest on Kyushu island where many riders from all over Japan gathered to compete. There were also bunny hop contest and street box jam. Some photos are uploaded on the official facebook page.